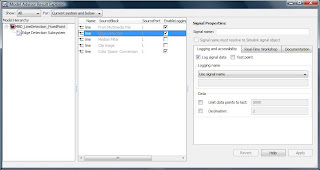 Change the source block output data types. 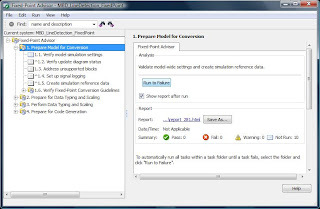 During automatic data type propagation, Simulink displays messages indicating the need to change block parameters to ensure data type consistency in the model. 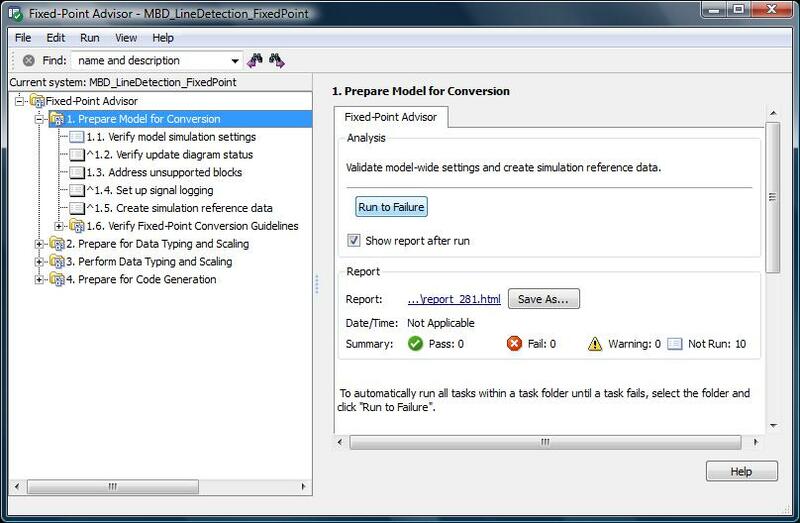 Set the fixed-point attributes of the accumulators and product outputs using Simulink Fixed Point tools, such as Min-max and Overflow logging. 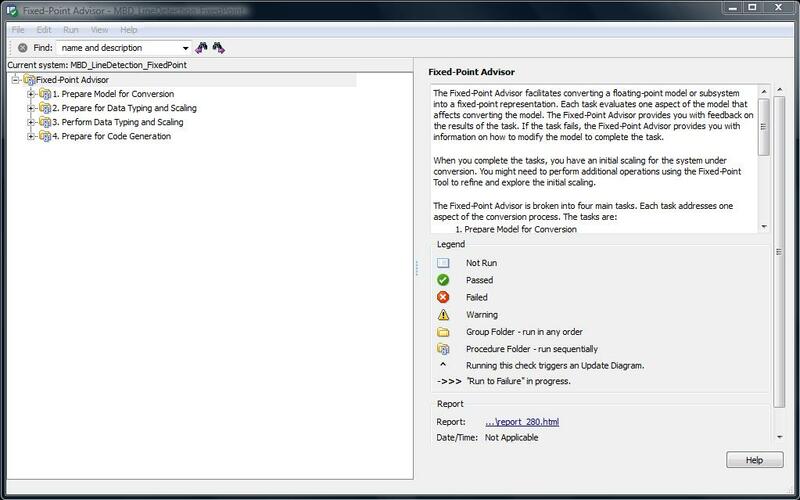 If this is first time, then start with Fixed-Point Advisor. 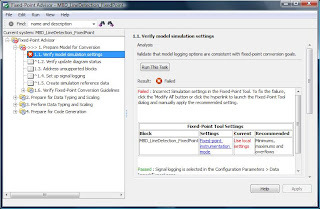 Evaluate model wide configuration options. 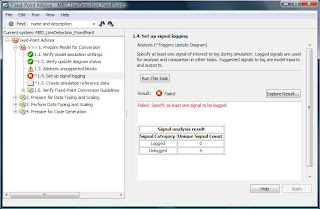 Create floating-point base line data set. 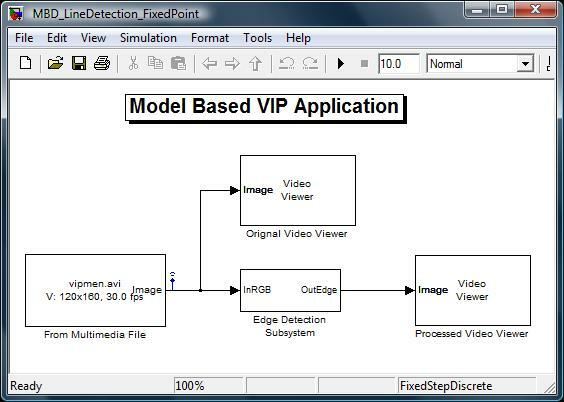 Add design minimum and maximum information to the model. 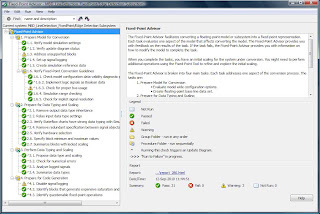 Propose fixed-point data typing and initial scaling to the blocks. 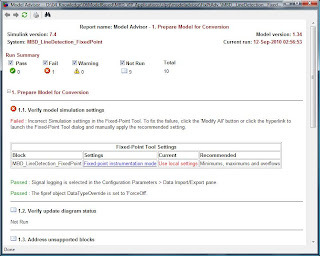 Analyze the resulting fixed-point model behaviour. 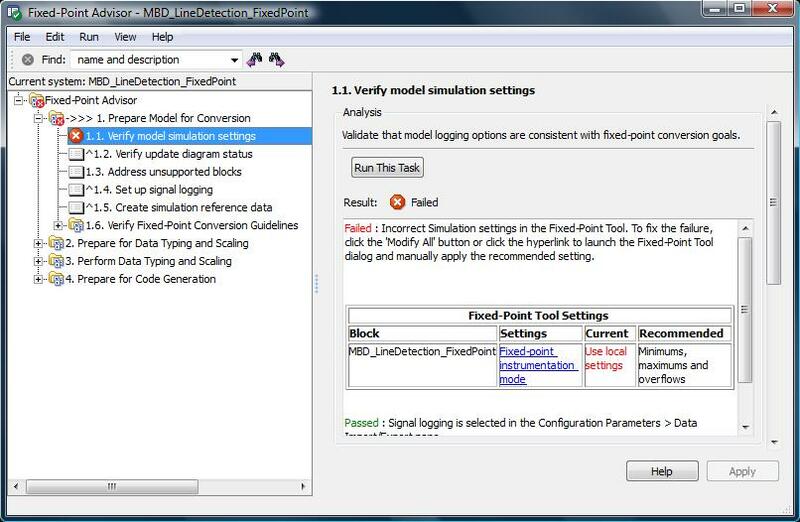 Examine issues resulting in inefficient code. After doing the modification and changes need to run again. 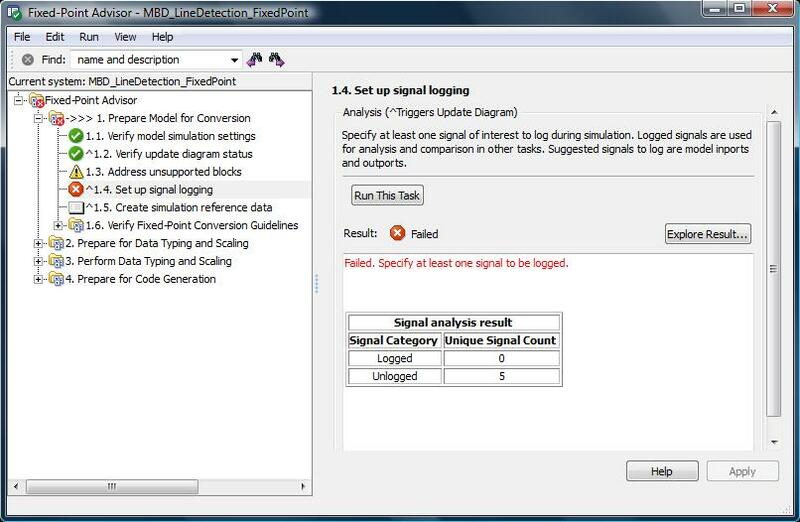 Sometimes, to go directly to the error location we need to use "Explore Result…" Button as shown below. 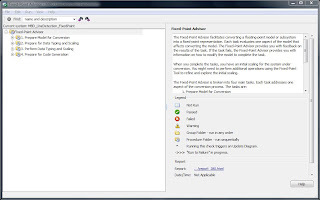 Which open a window named Model Advisor Result Explorer. 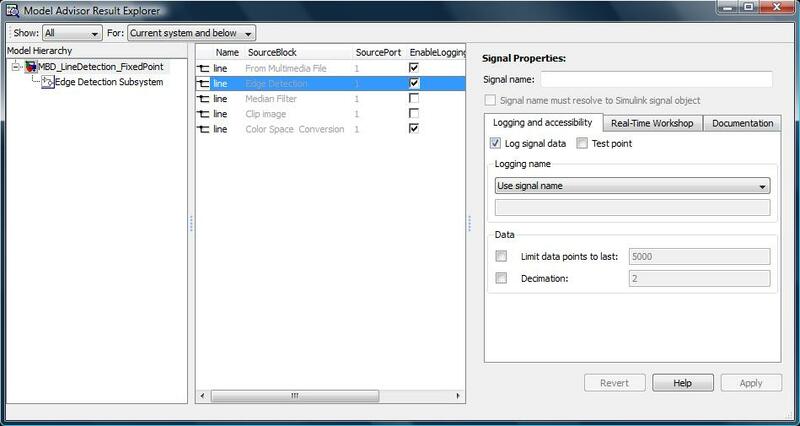 Here select main signals to Log Signal Data from check box and Use Signal name for Logging name from pull up. This Floating-Point to Fixed-Point conversion is an iterative procedure; we need to run every time after doing small changes in the model. 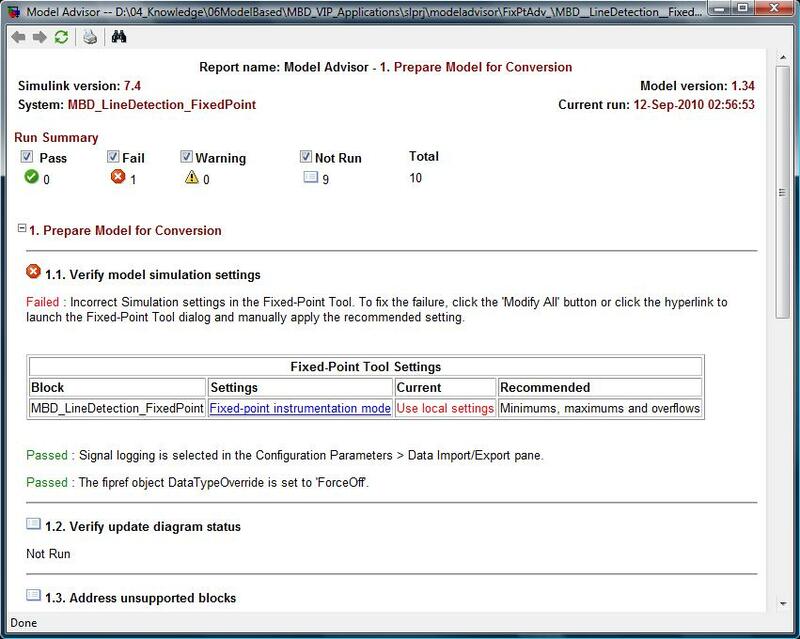 And finally here we go with Fixed-Point Model. 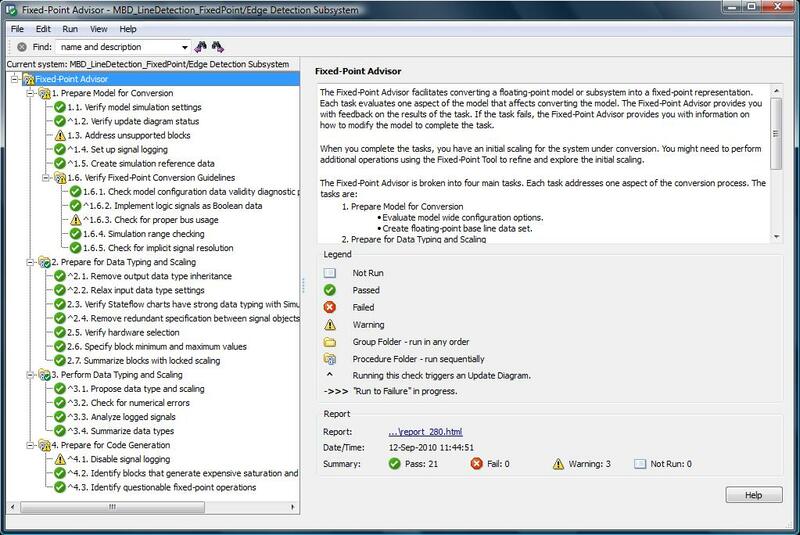 Figure 4: Summary- No Fail. 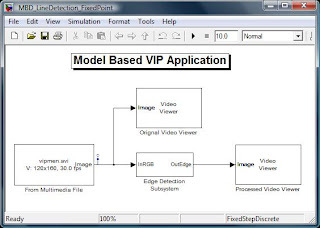 Figure 5: Resulting Fixed-Point Model.